These are my views on politics in the United States. My goal is to look deeper into ourselves and our political system to find the root problems, engage in compassionate dialog and work towards meaningful reform. I don’t usually write about politics, but I’m truly saddened by the state of our country, political system and how many people consider Hillary Clinton to be a good choice. I am one of the millions of people who supported Bernie Sanders and was greatly disappointed when he dropped out. I believe he was the one electable candidate who might have stood up for real reform. (Jill Stein stands for reform and may have even better ideas, but has little chance of being elected.) I also believe that political shenanigans gave the election to Hillary. She was chosen before the votes were even made. I suspect Bernie came under severe pressure to drop out and support Hillary Clinton. Even Elizabeth Warren, who has made a career of fighting the system, is now falling into line to support HRC. Please read my post and the articles before commenting. I understand that politics is a charged topic and I risk offending people and challenging sacred ideas. When it comes to politics, many of us are stuck in our beliefs and will vehemently fight for them rather than have a meaningful dialogue with an open mind and heart. Maybe what we most need is to slow down, listen to each other, find our common concerns and values, then explore how we can work together to make the world a better place for all. Watching the stories on Facebook and the web, I’m amazed at how much media attention and energy we give to fighting over whether Hillary or Donald is better. Many of my liberal friends are lighting up the internet with stories about Hillary Clinton being good and Donald Trump being bad. First of all, if you are daily promoting stories about Trump (pro or con), then you are actually feeding him, his media glory and his chance of winning. It is more effective to promote what and who you want. Keep in mind the goal of our current system is to keep us engaged in surface conflicts so we don’t address the core problems like the excess military, corporate influences and oligarchy. In my opinion, we have a broken and corrupt political system that doesn’t allow independent candidates or citizens a voice. We have the illusion of choice in a highly controlled system. If you doubt that statement, please learn more about the two party stranglehold on the elections, funding, media, debates, voter registration, etc. The corrupting influence of big money in politics is overwhelming the influence of the citizens. Until we repeal Citizens United and reform campaign funding, we can’t really have a government by and for the people. I will likely vote for Jill Stein if only to give the Green Party a chance at campaign funding. When independent parties receive over 5% of the popular vote, they are eligible for future campaign funding. My primary concern is how the two parties, special interests, big money and corporations now control the systems that drive our politics and economy. Creating reform will be the focus of a future post. My other concern is the excessive military expenditures in our country. We have the highest military expenditures in the world, selling 1/3 of the total arms trade to about half the countries in the world. The results are increased terrorism, endless wars, failed diplomacy, growing anti-US sentiment, increased domestic violence and gun deaths. This is not a recipe for world peace and cooperation. Since Bernie dropped out, we aren’t likely to achieve reform in this election cycle. Maybe later we can if enough people wake up and demand change. I’m disappointed in our country, citizens, leaders, Bernie Sanders, Elizabeth Warren, the system and how many people believe Hillary will be good for our country. Yes, she will be less bad than Trump, but not good. The Trump Surge article is full of inflammatory language but reveals many of the darker truths of our current system. My goal is to wake people up to the problems and reality of our current political system. Then we can explore how to create real reform. And yes, I understand that Jill Stein has little chance of being elected and could take votes away from Hillary Clinton. Yet, if the 40% independent voters (who outnumber Republicans or Democrats) believed their vote mattered and voted their conscience (Bernie, Jill, or pick your own), the whole game could change. Hillary Clinton and Donald Trump are the least popular candidates ever. Here are counterpoints on why a vote for Jill Stein is More than a Protest Vote and why voting our values is important. Please exercise your right to vote as per your vision, values and conscience. Let’s create a system that represents the people, and helps build a world of peace, equality, social justice, flourishing, cooperation and care for the planet. Please share your thoughts on how we can create meaningful change. We need to reclaim the responsibility for creating a better political system. With feedback from you, I’ll write about how we can create real reform. Please share this post and start some dialog with friends, family and even antagonists. We’re in this together, so let’s communicate with kindness, compassion and respect. Thank you Matthew. to peace and politics! A thought-provoking post, Brad. I have to admit, I’ve been leaning heavily toward Hillary due to my fear and disgust of the other major candidate. You’ve given me some things to think about. The world Jill Stein proposes sounds like utopia, and I wonder if the US is ready for it, but I have to remember to play to my hopes and not my fears and that anything is possible! Thank you JoAnna for being open. My main interest is discussion and reform, not to persuade you or anyone to vote for Jill Stein. I do hope people consider ways to help us move beyond the current system that seems heavily tilted toward companies and the rich, with too much war. to peace in politics! I rarely post political content, partly because I still don’t want to offend anyone, but Brad’s post is thought-provoking and positive. I’m not 100% sure who I will vote for, but Brad has given me some new perspectives to consider. This re-blog is a way of being true to myself. Hillary would be followed by some other presidents, Donald would probably be the last one. So it is important to raise community awareness about our causes. It is rather arrogant to want to jump in at the end of the proceeds to demand things be our way. I will happily vote for Hillary. I have rsearched a lot and think she is different that she has been painted with the GOP brush. I also think most of her party had their minds made up before the primaries but that was because of the relatonships she built while working with the. Read interviews of people that work with her. They tell a very different story. Her voting record is so close to Bernie that I also feel a lot of what was said about is just not true. Hi Glenda. Thanks for visiting and your thoughtful reply. I agree that real reform will come from us. It sounds like we might want similar things. I honor your right to choose Hilary. I know she is talented and competent, and I believe she is too entrenched in the current system to change what matters most to me; ending wars, getting the big money out and empowering individuals. I’m pretty sure she will win, then we will see how it goes. And here we sit, like a collective King Canute, attempting to turn the tides of history while a celestial voice cries out, “you had your chance at being great and you blew it.” For so long as the folks who have to be the progenitors of change have their power base and income streams rooted in the status quo there can be no change. Your post is excellent, well written and very informative but I greatly fear, could have been written during the final days of The Roman Empire with equal effect. Sadly, you may be right Rick. And yet, I hold space for hope, change and reform. We might be able to do it locally and/ or collectively. I share your hope and feel strongly that any meaningful change will have to be from bottom up, beginning at the local level. Well said. If this election doesn’t prove that we can’t trust the major parties to present us with reasonable choices, then nothing will. As you say, we’re left with having to choose a “lesser evil,” while being manipulated with fear-mongering. Good for you and the millions of people who will reject the major parties this year and instead choose to be part of trying to break the system that gives us such awful choices. Thanks Bill, for caring, contributing and being willing to be part of the change. May we find creative ways to transform ourselves and politics. If you look at it realistically the candidates represent our country. I would love an anti-war candidate but know at this point they would never get elected. If Hillary took this position as a woman she would have even less of a chance because of the stereotype of women being weak. Because of gerrymandering from the right we have a ways to go before that would happen because of who actually votes in this country. Look what happened here in Arkansas trying to get any progress on Healthcare reform. We took a baby step forward then huge steps back when Lincoln and Pryor lost. Now our Governor is a Republican. If we don’t change the mind of the citizens we have no chance of change. The view us liberals as lazy hippies who want free stuff. WE have to change that!!! I agree with the change you want and understand your frustrations. I am very passionate about it but also enjoy taking about it. I pride myself on being about to discuss it without anger:-) I want to know other’s perspectives but also want them to understand mine. I am open to talking about it in person any time. Brad this is a great piece of writing which you have given much thought to..
As a Brit.. here in the UK we have gone through our own recent traumas in the political field.. And apart from reading and seeing what is portrayed by the media, I wouldn’t dare to comment upon a system or its political arena given I do not know enough facts about them.. But isn’t that a lot of the trouble today.. We all of us go on hear-say, or go on what we are fed.. It appears to me world wide that the political systems all over are going through great changes right now.. With the people no longer trusting those who lead them.. I could ponder until the cows come home Brad, and nothing much is going to change unless the people want change.. This is what is needed.. Working together.. Listening to each other.. and communicating with each other and learning to treat each other as we ourselves wish to be treated.. Values which have gone astray and which we now see spill out into the political debates as they bring themselves down to levels of name calling and the blame game..
All of us in society are responsible for our actions, for these actions spill out to create reactions.. So when we judge, when we criticise, when we are point our fingers at others , we really all of us should be looking in the mirror at our own actions..
A great Post Brad spoken with wisdom and heart.. Thank you Sue. ❤ What a kind and thoughtful reply. I can only hope that collectively we might shift towards more love, cooperation and empowerment of the individual. Your type of madness would be of great value in the public sector/service… 🙂 Much needed! It’s very interesting to read your views of politics in your country – we do hear quite a bit about it over here in the UK but it’s interesting to hear the views of real people. 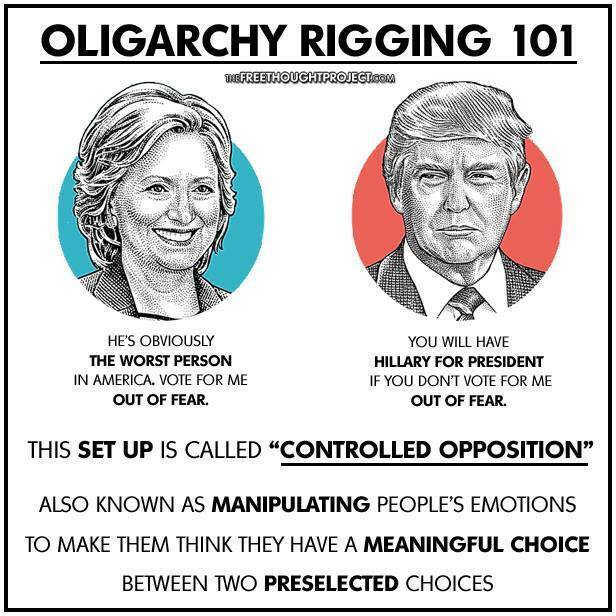 I think your point about the ‘illusion of choice’ is one that applies over here as well. Thanks for sharing Andrea. I’m sorry to hear that your system is similar in the UK. And if you talked to other Americans you might hear very different perspectives.. 🙂 to peace and reform. Thank you for your words. Its always nice to hear from others who can see beyond the static. Looking forward to reading more of your thoughtful words. Thanks m.m. We seem to share some political views. I appreciate that you find my ponderings thoughtful. I would like to offer more solutions. It’s too easy to find fault without offering constructive ideas. May we work together to rebuild our streets, towns, states, countries and world. 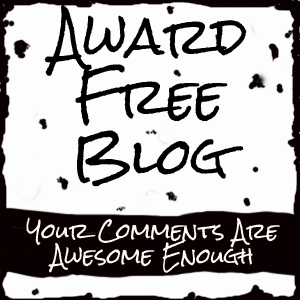 I think your blog is fantastic! I have just written a blog debating whether democracy is actually flawed or not- would be great to have your feedback! Will definitely be keeping up with this blog! Wonderful ready. Appreciated seeing some of my favorite philosopher’s thoughts weaved into your writing. I enjoyed having to ask myself what do I want democracy to look like and is it possible to have a pure untainted democratic society? Or is it a rouse? Great read. Thanks mm. Please let me know if you have a great solution for how we move forward on these values together. One group I just found that seems interesting is the Brand New Congress. I am hoping that all of the millions who supported Bernie and those who lean towards Jill Stein’s vision won’t give up on politics after the election. I’d say the real work begins after Nov. 8. I am also hoping that the North Dakota water protectors will mobilize large groups of people into some kind of an “Earth Party” that is more inclusive than your regular green party types. We need REAL change badly. Agreed, we need big changes Annette. I do think the Bernie supporters are staying engaged. Part of them have gone Green or to local or niche movements like Black Lives Matter, environmental groups or more. Another one I really like is Brand New Congress. They are harnessing Bernie’s ideas and momentum to target a mass election of new congress members in 2018. And of course, we must work on ourselves and in our local communities. Thanks for caring. Brad, my friend, you have said what a whole lot of passionate and compassionate are thinking. The problem, at this point, is *because* the system (and by this, I mean the *whole* of American politics and policy right now) guarantees that even a small margin of votes favoring one of the two main candidates over the other means he or she will be elected now, and any vote *not* given to one or the other is guaranteed to serve the other’s purposes, since our country has proven absolutely consistent in never electing a third party candidate, all the way since George Washington. It’s called the Spoiler effect, and it’s stronger than intelligence or wisdom or experience, even in this supposedly informed age. I do hold out hope that in some future election, a person not presented as either Republican or Democrat may win, but we have allowed ourselves to be so vastly divided right now that even the most well-meaning and idealistic approach to voting can’t change the existing rules, let alone minds, nor do I think a third-party or non-aligned vote will have enough sway to make a useful statement that hasn’t already been tried in any number of modern elections here. I am loath to say so, usually being rather optimistic in life, but I’m quite convinced that only AFTER not only this election’s results are confirmed, but also after the virtually guaranteed horrid backlash that follows no matter *who* wins, will we see the possibility of the genuine systemic reform it will take to avoid such a hateful, divisive election in the future. I hope, hope, hope that I’m wrong, but it’s hard not to be pessimistic right now and call it merely dark Realism. Please, America, prove me wrong!!! As you said, Brad, here’s to reform and peace instead!!!!!! Thanks for your caring and realistic comment Kathryn. I’m well aware of the effects of voting third party. I am no longer willing to support the two party game. As you mentioned, regardless of the presidential results, we have a system that needs great reform and it’s up to us. Working locally, regionally and in whatever ways speak to each of us. Another interesting approach is the Brand New Congress which is using Bernie’s ideas and momentum to work on electing a large group of new congress members who are aligned by values, not party. Won’t it be wonderful if somehow we can change and clarify our governing systems, support wisdom and compassion instead of party lines, and consider ourselves actual *United* states in a way that we haven’t been in a very, very long time! Whether it’s nonpartisan, a Brand New Congress, a genuinely committed coalition, or whatever anybody wants to call it, I am all for whoever and whatever makes it possible for our country to better look after its poorest, underprivileged, undereducated, and otherwise least-defended citizens and narrow the unnecessary dividing lines and inequities between us all. Here’s hoping. Thanks for caring Kathryn. Hopefully you’ll join what group speaks to your visions and values. It will take many people working for reform. A very interesting read! I am in the U.K., but I really enjoyed your well-expressed views. You are right Brad, we can not see only negativity, but wake up calls are good. Shake ups of humanity at the end bring always better outcome. Thanks for your input. The Oligarchy is very real. 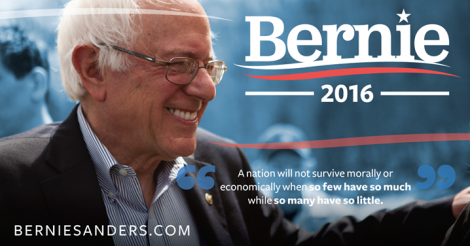 We need to listen to Bernie Sanders and Jesse Ventura. Plutocracy, The Oligarchy, aka the 1%. Bernie Sanders is right. It is not OUR world while others own it and run it. Learn what you need to know. They have had control of our world for thousands of years! They created a Heaven on Earth for themselves, at our expense! Below is information that we need to share so that everyone realizes the situation that we are actually in – not just in the U.S., but worldwide!